She opens her collection with the arrival of her family in South Africa as laborers, lists caste names, and traces a patrilineal genealogy. The speaker is haunted by her history of indenture, where even these lists and directives can serve the poetics of her collection. The pun that unfolds in this poem is that the way the speaker says and the way that the “protector” writes daal sounds like the English word doll, which when spoken is a term of endearment. 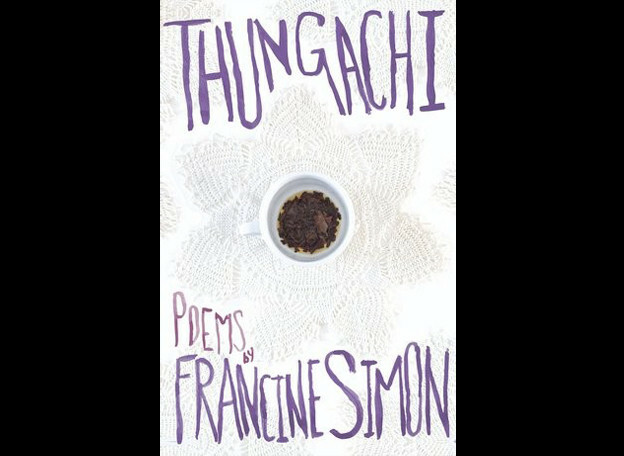 Through her inclusion of words, phrases, their variances and semiotic shifts, Francine Simon writes poems that continue the conversation started by Mahadai Das, David Dabydeen, Khal Torabully, and Sudesh Mishra by using what Mariam Pirbhai calls the vocabularies of indenture.